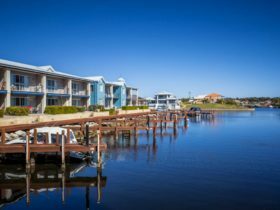 For those who love being on, in or near the water, Mandurah is a dream destination just 50 minutes south of Perth. 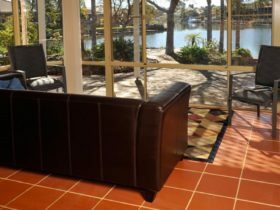 There, you’ll find some of Australia’s most spectacular waterways, including the Peel-Harvey estuary, which is twice the size of Sydney Harbour and blessed with abundant wildlife, pristine beaches, beautiful blue-green waters and a buzzing foreshore area. Being less than an hour’s ride from Perth by car or train, it’s little wonder this water-side playground is one of the capital’s most popular day trips. You can experience the locals’ favourite pastimes by hiring a boat, houseboat, kayak, canoe or jet-ski, or joining one of the many cruises to explore 130 square kilometres of beautiful waterways. 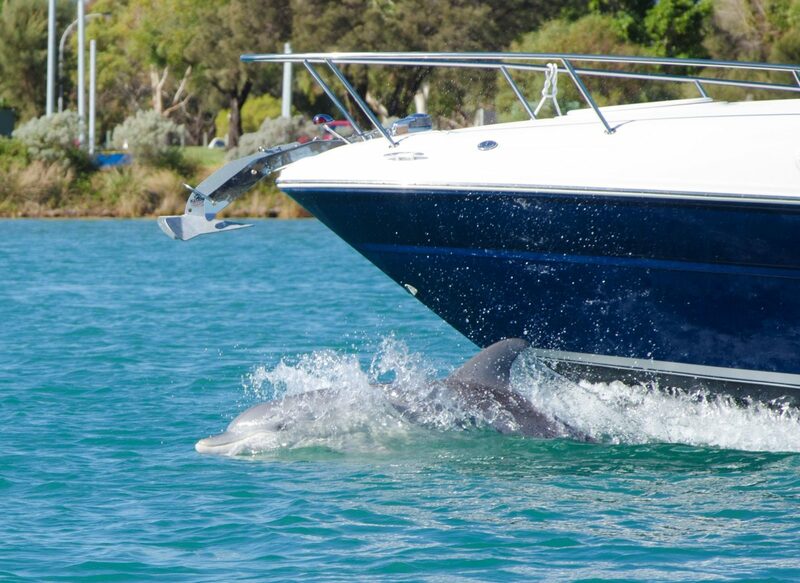 It’s not uncommon to encounter some of Mandurah’s other waterway residents too, including more than 130 different species of birds and one of Australia’s healthiest populations of wild dolphins. An abundance of sea life also makes the waterways a great place to fish. Go prawning on the rivers in early summer. Cast a line into the estuary or Peel Inlet to chase herring, sand whiting, bream and tailor. Go crabbing in the shallows to scoop the famous blue swimmer crab. Or join a deep sea fishing charter. Off the water, you’ll find four wheel drive adventures on the sands of Whitehills Beach or Tim’s Thicket Beach. Located just 15 minutes south of Mandurah, these are the closest beaches south of Perth where it’s legal to take your four wheel drive onto the beach. If you have young children, there are many other ways to fill a day with fun, including water parks, a fun fair, adventure playground and mini train, while history buffs will enjoy the free foreshore heritage walking tour or Community Museum. 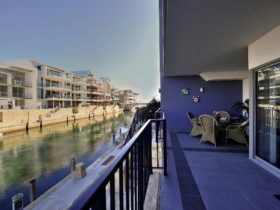 As Western Australia’s largest regional city, Mandurah makes the ideal overnight base, with many gourmet restaurants and cafes overlooking waterfront boardwalks, museums, theatres, galleries and seasonal events – including the annual Crab Fest in March. You’ll find plenty of accommodation options. 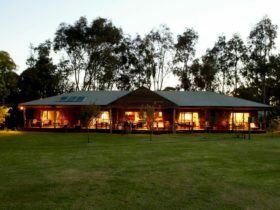 Take your pick from four-star resorts and holiday houses overlooking the estuary, or bed and breakfasts and caravan parks. Mandurah is a suburb of Perth in Western Australia. 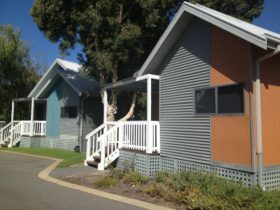 It is located approximately 65kms from the capital Perth covering an area of 7.157 square kilometres. 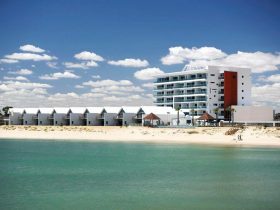 Mandurah has a recorded population of 7837 residents and is within the Australian Western Standard Time zone Australia/Perth. If you are planning a visit to Mandurah we’ve put together some of the things nearby that you can see or do while you are here. These include, places to stay, tours and attractions, some upcoming events and places where you can grab a meal. Go ahead, try one of the buttons above. Every destination has something worth seeing so start exploring… If you know Mandurah and think we’ve missed something, let us know and we’ll share it here.